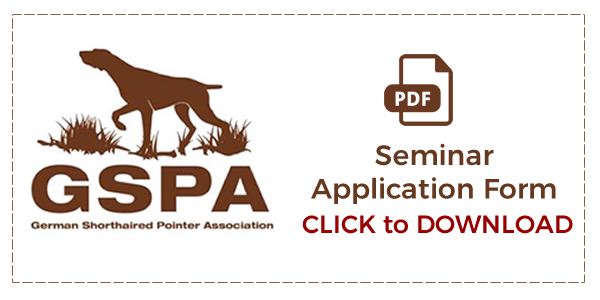 The GSPA are pleased to announce they are holding a ‘hands-on’ breed seminar for aspiring judges on Sunday 19th May. This will involve talks by senior judges of the breed and will be followed by a ‘hands-on’ assessment of dogs that will require a written report which will be assessed. Successful candidates will receive certificates that will enable them to progress in their judging careers. The venue is at Cotesbach Educational Trust (between Lutterworth and Rugby) and the cost for people wishing to undertake the assessment will be £25. This includes all necessary materials and refreshment. Experience has shown that the maximum number taking this assessment is restricted to ten (10) people. An application form can be downloaded from the GSPA website or is available from the Show Secretary, Bill Ashcroft.